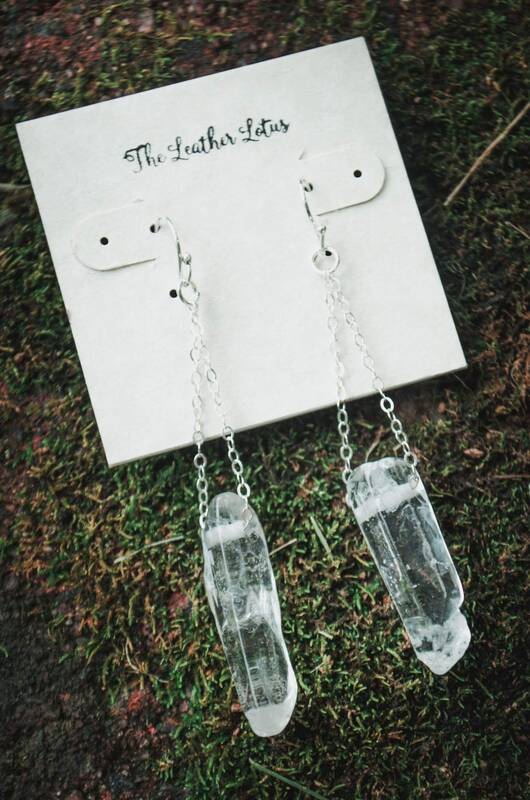 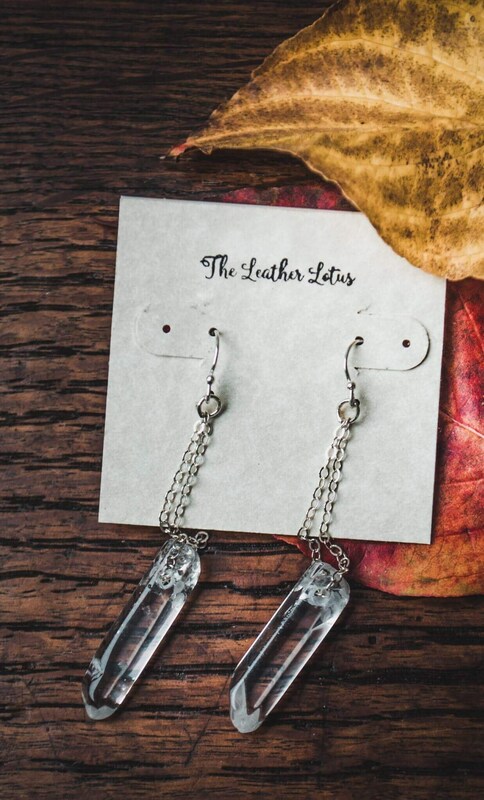 Let the sun shimmer into these beautiful Quartz earrings as they dangle and flirt with your hair. 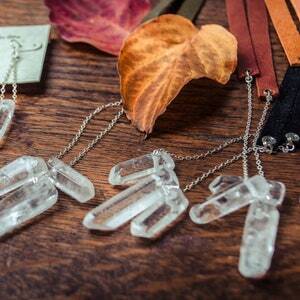 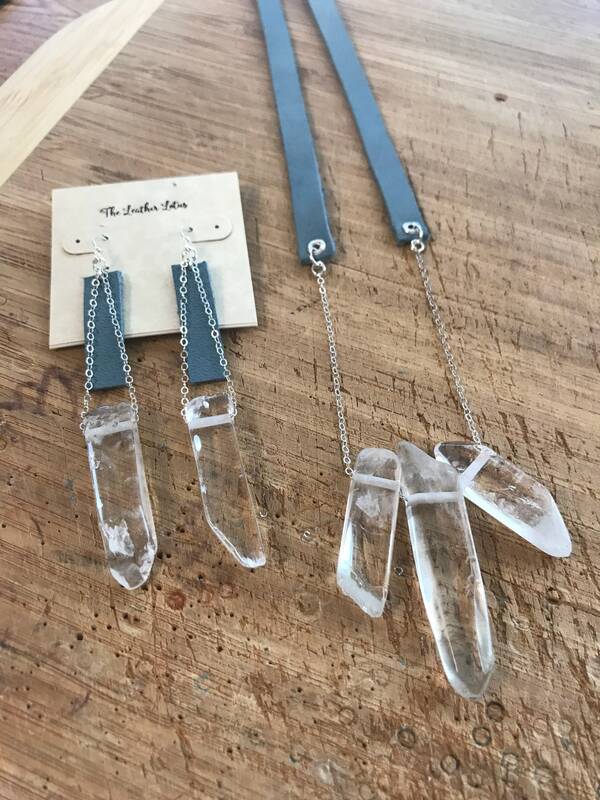 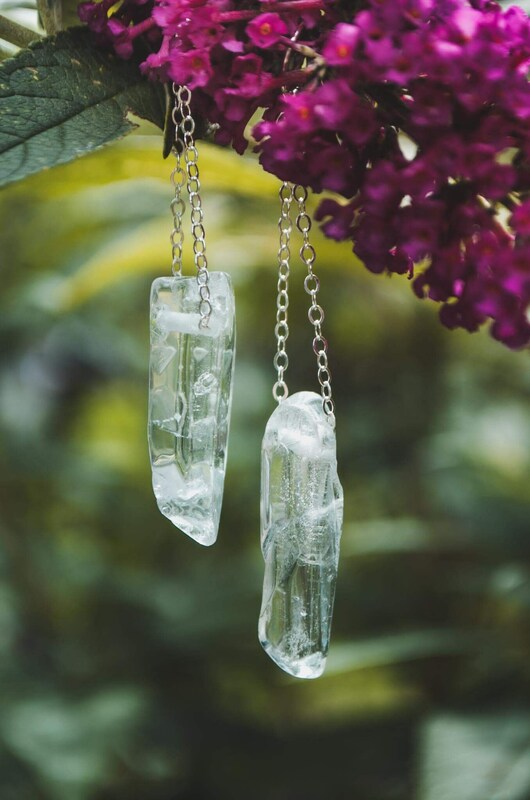 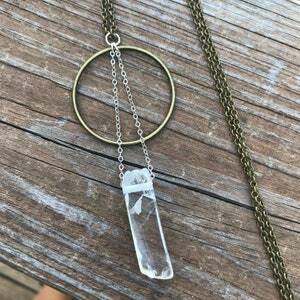 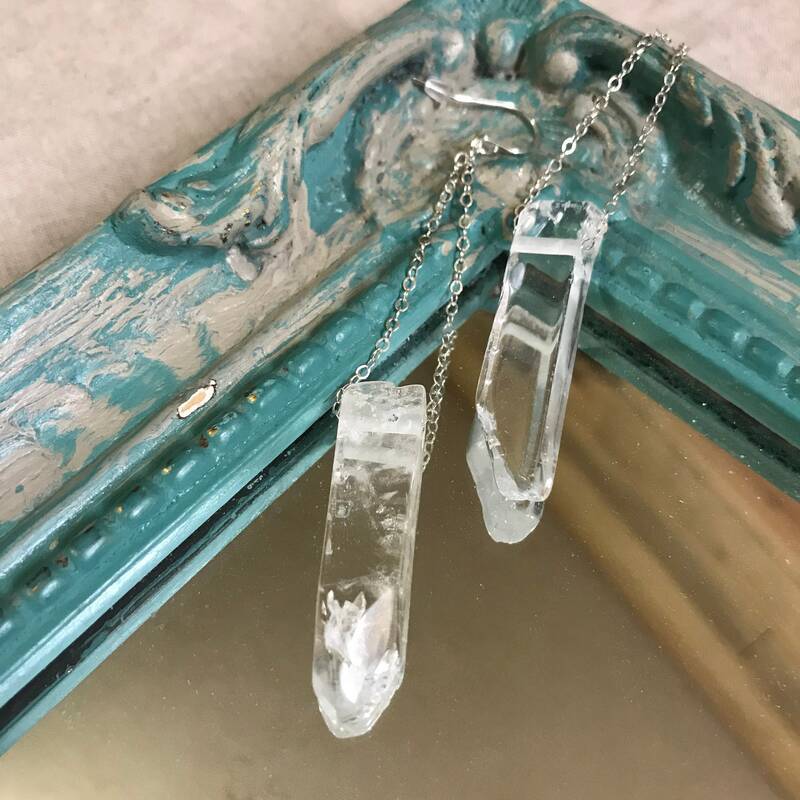 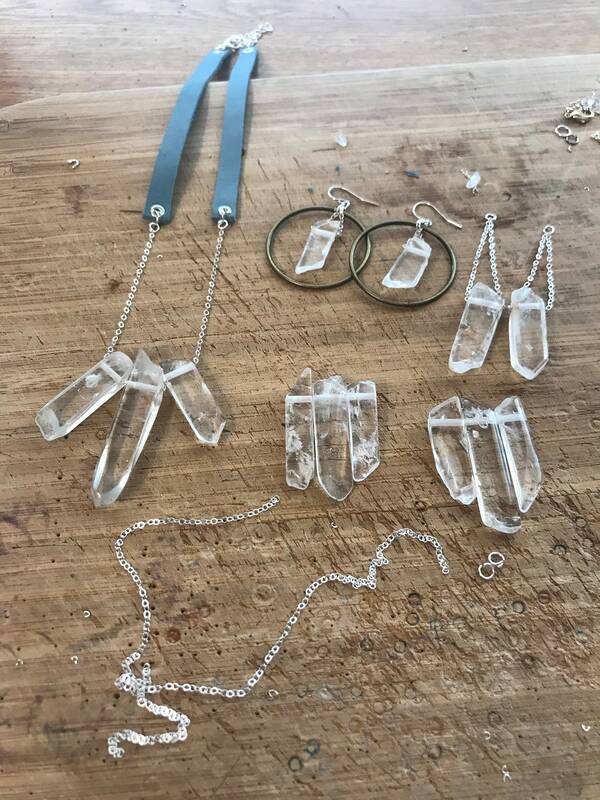 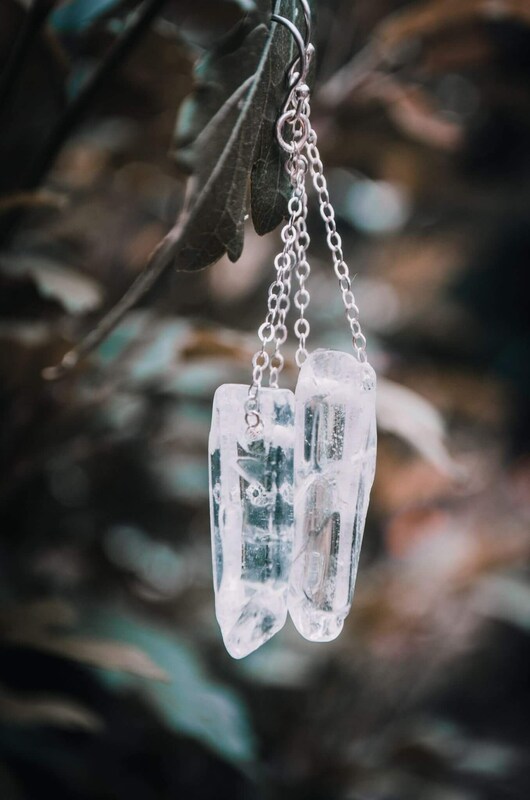 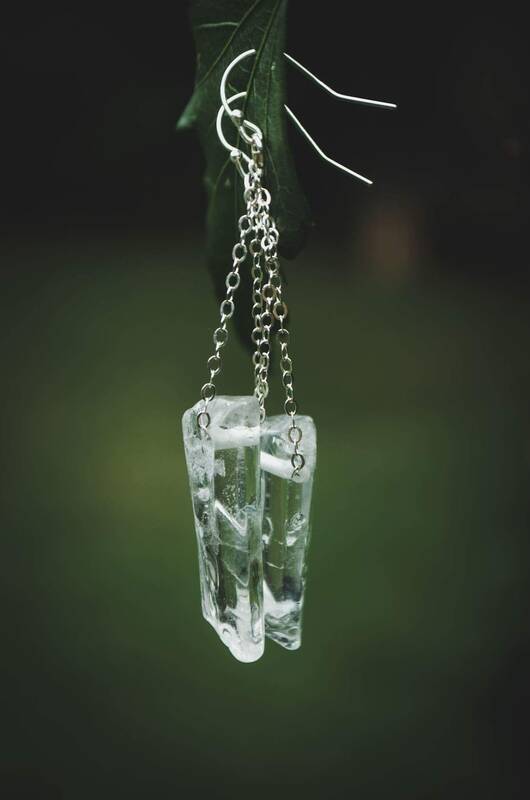 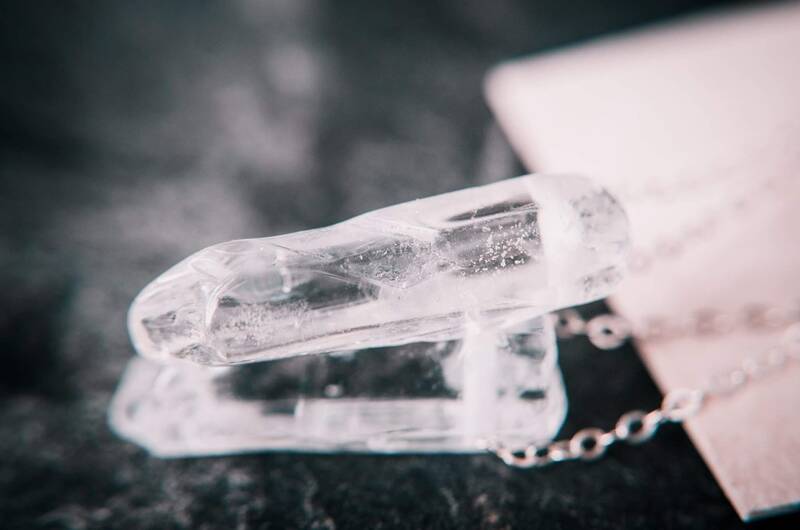 Crystal clear Quartz spikes hang from Sterling Silver chain, and earring hooks for a simple, yet timeless design. 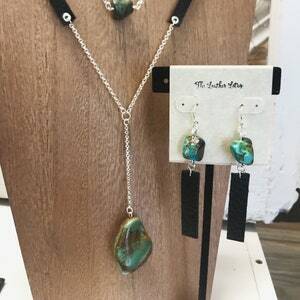 Allow them to dress up your favorite outfit for a special occasion, or pair them with a fun top and jeans for the perfect boho look. 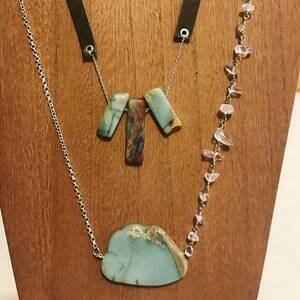 Versatile, fun, and flirty.